Well, I don't feel the same way as Andy Warhol, but it's fair to say I have a love-hate relationship with plastic. The convenience and safety aspects are hard to beat, but the environmental damage being done as this material infiltrates our land and oceans is beyond destructive. (You can find the shocking statistics at the end of this post). and the havoc being wreaked by plastic on its animal communities. The situation is bleak, I don't want to sugar coat it, but there are things we can all do to improve the status quo. The rest of this post highlights some very clever and creative people out there who are doing their part to reclaim and recycle (and upcycle!) our plastic pollution into beautiful new products. Perhaps you'll be inspired to find yet another use for our used plastic. What do you think of these solutions to our plastic problems? The much-hyped range of G-Star, in collaboration with Pharrell Williams, has hit stores. This line of denim, tees and sweatshirts uses Bionic Yarn - created from plastic collected along the coastline - to divert plastic from the oceans and make a sturdy fabric. As Pharrell and Bionic Yarn founder, Tyson Toussant, say, "Wear the responsibility for Big Blue." 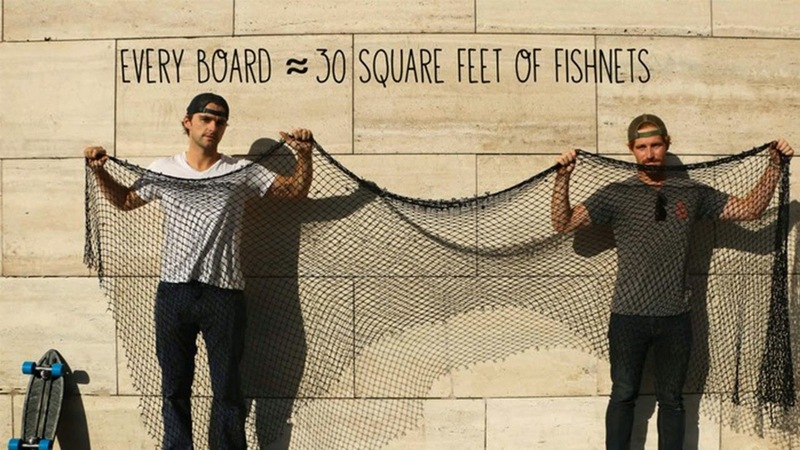 I'm oh-so-proud to say I know one of the founders of this ingenious company that turns used fishing nets from Chile into new skate decks for everyone. (Special prize if you can guess which character he is in Sustainability with Style). Bureo, which is the word for waves in the native Chilean language of Mapuche, completed a successful Kickstarter campaign this year. Between working with Chilean fishers, setting up a recycling and manufacturing facility, and telling the Bureo tale around the globe, this team has been busy! Thank goodness they have new boards to get around in style. The Minnow is now available - order yours on their website -and take 30 square feet of nets out the ocean. This is not the first time I've mentioned Teeki - and probably won't be the last. This activewear label pushes all the right buttons - recycles plastic into clothing, creates some of the hottest prints and designs I've ever seen on yoga pants, uses Zero Waste printing technology, and celebrates health, the environment and self-love. So now there is even more you can do to help with our global plastic problem. In addition to saying no to plastic bags, using a refillable water bottle and recycling all your household plastic, now you can also take some of that plastic back out of the oceans and landfill with some eco-conscious choices. And maybe just make plastic fantastic, again. Why is it a love-hate relationship with plastic? I love my lipstick tubes. I love the convenience of my click-and-seal food containers. I love the sleekness of my computer-mouse. I know this shiny, flexible material has made our lives safer through medical supplies. Once you start looking around, you can see how much plastic is part of our daily lives and instances where it has, in fact, improved our way of life. Australians use enough plastic bags each year to wrap around the globe 42.5 times. Australians only recycle 36% of their plastic bottles, sending at least 373 million bottles to the landfill each year - if they make it that far. Globally, 6.4 million tonnes of plastic are dumped into our oceans every year. 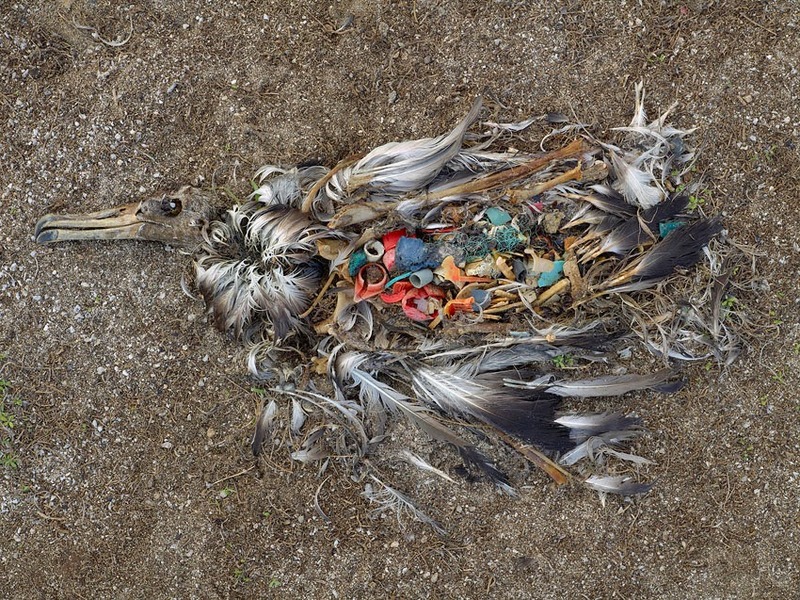 An estimated 40 million pounds of plastic has accumulated in the North Pacific Gyre alone. Between 57,000 and 135,000 whales are entangled by plastic marine debris every year, and likely millions of birds, turtles, fish and other species are affected by plastic debris - including digesting it. Between convenience packaging, poor recycling rates, and fishing lines and nets being discarded, plastic has taken over our land and our water, and it's impacted us all. So please, start taking action today.